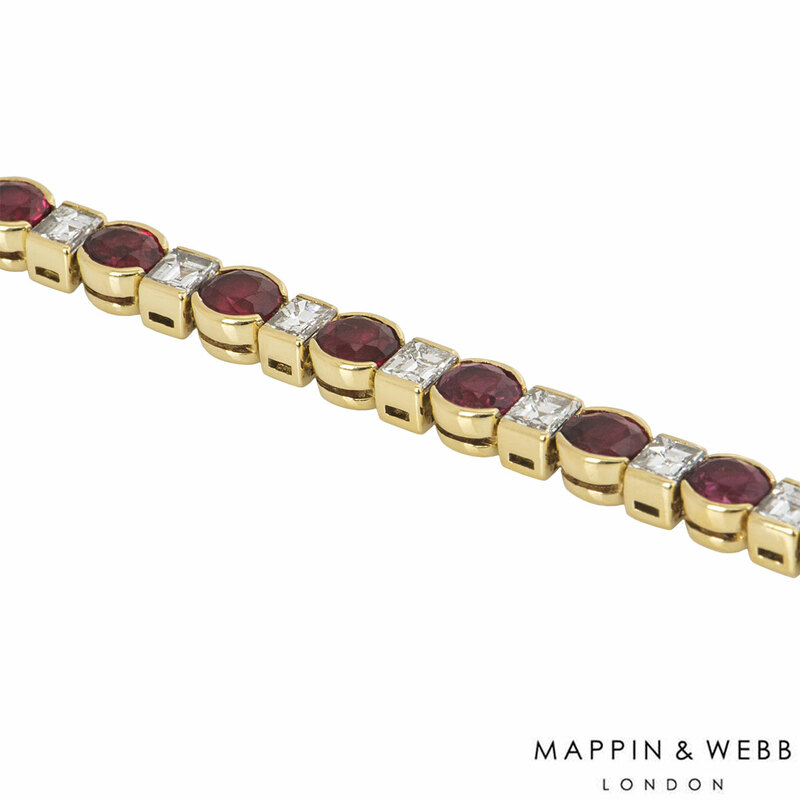 An 18k yellow gold diamond and ruby line bracelet by Mappin & Webb. 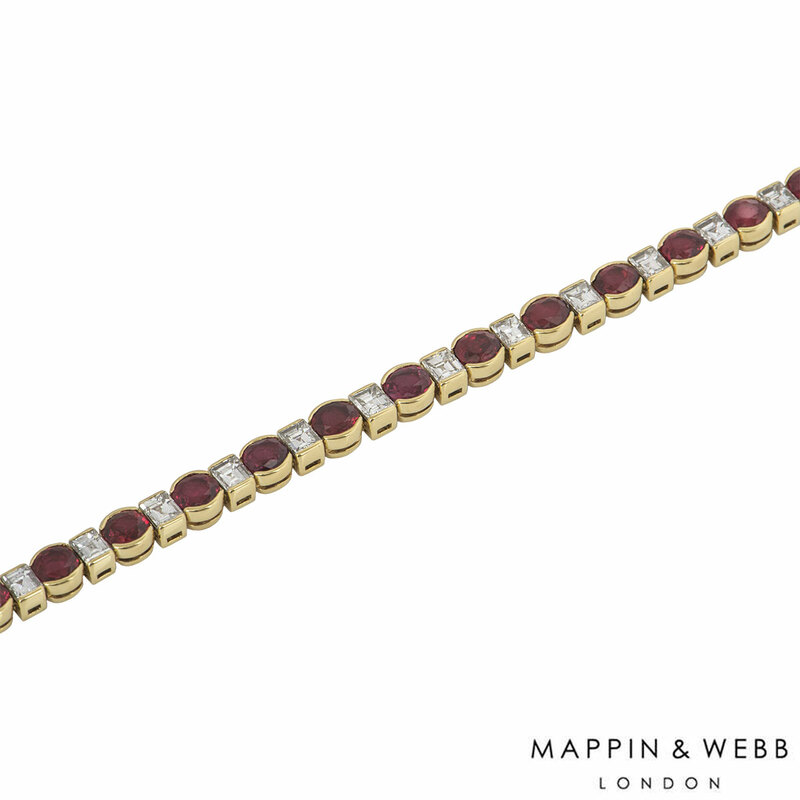 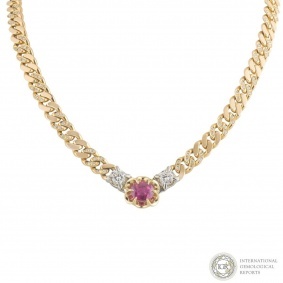 The bracelet comprises of 23 oval shaped rubies and 23 princess cut diamonds alternating with each other in a line. 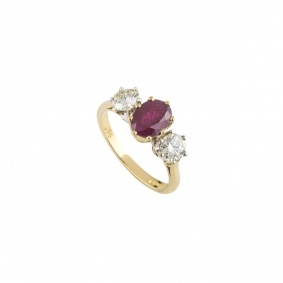 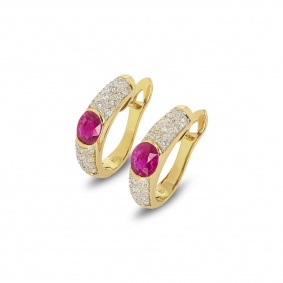 The rubies have an approximate weight of 8.05ct and the diamonds have an approximate weight of 2.99ct. 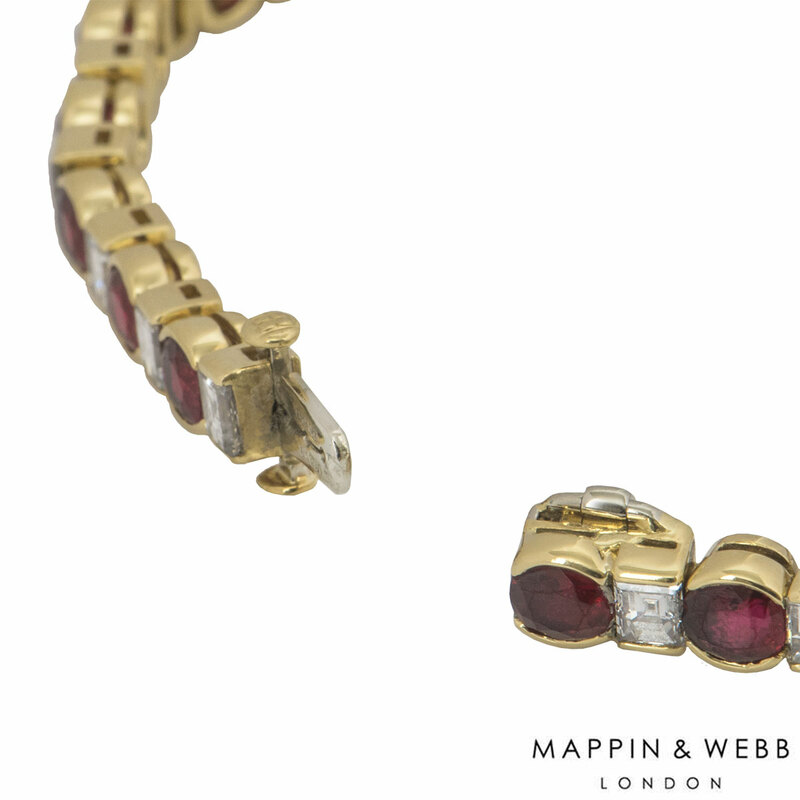 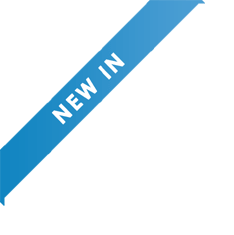 The bracelet has a length of 17.80cm with a box clasp fitting and a gross weight of 19.70 grams. 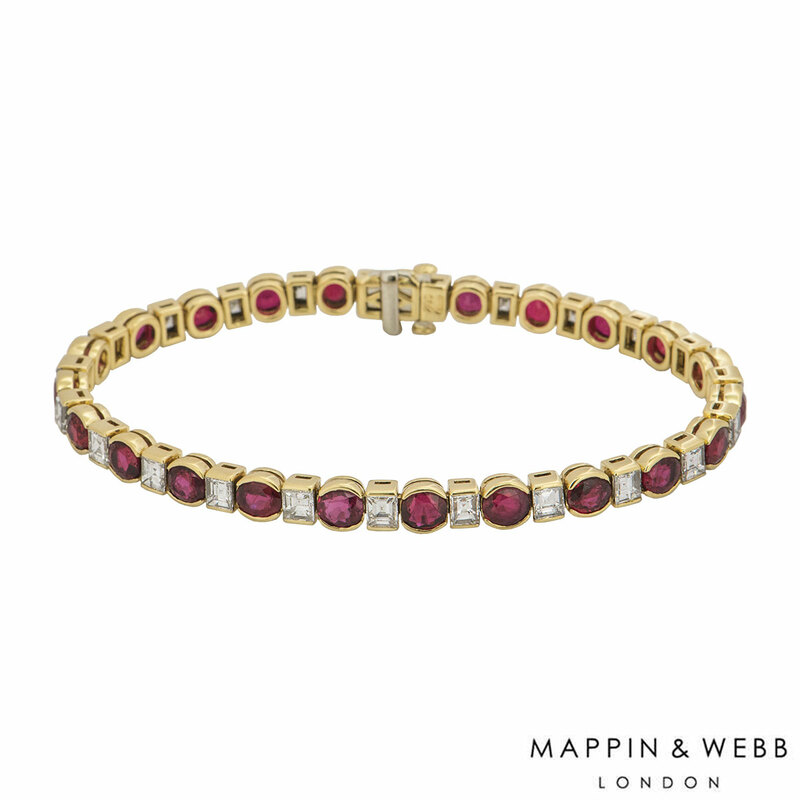 The bracelet comes complete with a Mappin & Webb presentation box and our certificate of authenticity.